The man who called the 2008 financial crisis is sounding the alarm about what may cause the next one. 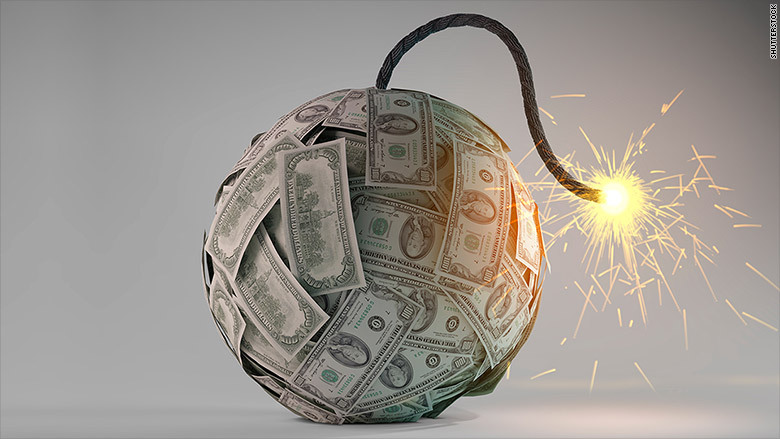 Nouriel Roubini, who has been dubbed "Dr. Doom" for his dark predictions, warned in an Op-Ed in The Guardian on Monday about the existence of a "liquidity time bomb" that he fears will eventually "trigger a bust and a collapse." The New York University economist joins a growing number of observers who are worried about the issue. Liquidity is the lifeblood of financial markets. It measures how easy it is for investors to quickly sell stocks and bonds. When investors get fearful but can't sell their stocks, it causes even more panic. Are more flash crashes coming? Roubini pointed to several scary episodes to back up his case that investors should be worried about "severe market illiquidity." Investors around the world were spooked by the May 2010 flash crash, which sent the Dow Industrials plummeting nearly 1,000 points in about half an hour before recovering. And then there was the "taper tantrum" in the spring of 2013 when bond yields skyrocketed for a few days after ex-Fed chief Ben Bernanke suggested ending quantitative easing. Just last fall, bonds had a "flash crash" of their own, mysteriously plummeting in dramatic fashion on one day before rebounding. One New York Fed official even said reduced liquidity may have played a role in the incident. 1) Herding behavior: Lightning fast trading makes up an increasingly large amount of activity in the stock market. This has led to "herding behavior" and crowded trades (think: bullish on the U.S. dollar) that can create chaos when surprises occur and everyone heads for the exits at the same time. 2) Bonds are not stocks: It's important to remember that fixed-income assets don't trade in super liquid stock markets. They mostly change hands in illiquid, over-the-counter markets. Despite that, as Roubini points out, investors can cash out overnight. That creates the potential for fire sales like those that hit the mortgage bond market in 2007 and 2008. 3) Banks are M.I.A. : During times of stress, investment banks used to act as stabilizing market makers in the bond market. Yet today's banks don't provide that safety net because post-crisis regulation has forced them to be smaller players in the bond markets. The Federal Reserve role: Ironically, the concerns about liquidity in financial markets come after the Federal Reserve and other central banks created massive amounts of liquidity in response to the 2008 financial crisis. These emergency actions have helped keep bond markets relatively calm and lifted risky assets like stocks and real estate around the world, including in the U.S. Yet Roubini and others fear this so-called "money printing" has also raised the risk of asset bubbles in various markets, including China, startups, tech stocks, bonds and luxury real estate. All of these investors have poured into these markets, but will they be able to get out? 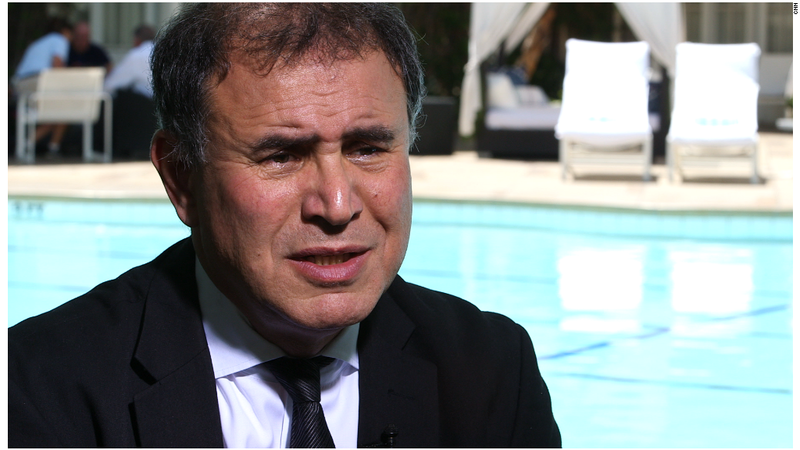 Roubini believes we will see more than flash crashes, especially as asset bubbles continue to inflate. "As more investors pile into overvalued, increasingly illiquid assets -- such as bonds -- the risk of a long-term crash increases," he wrote. "Market illiquidity will eventually trigger a bust and collapse."